1) Amethyst. No one really know why it works, but they swear it does. 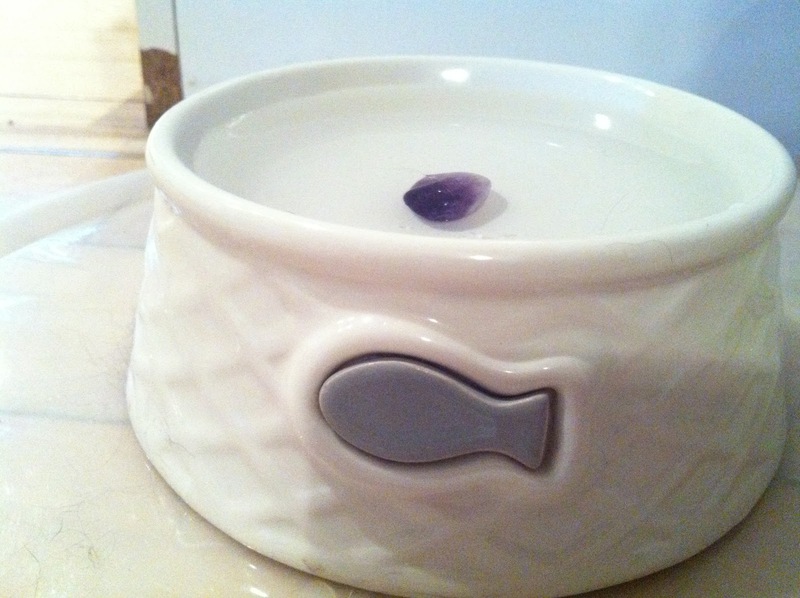 I picked up a polished stone for $1 at Tribal Voices and I keep it in their water dish. I can't say that it's working, but maybe it's helping. It's not hurting, I can tell you that much. Right in the water dish! 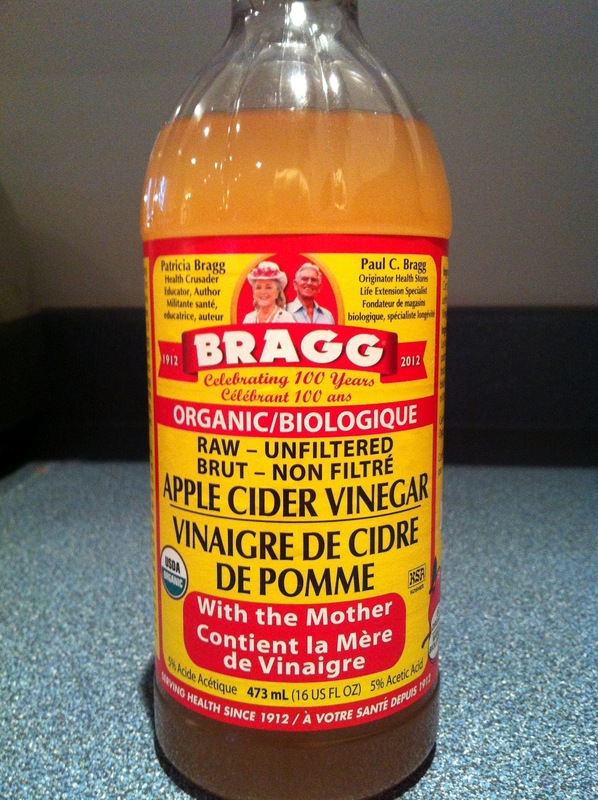 2) Apple Cider Vinegar. Many people swear that this repels fleas, but I'm not sure that I agree. Our cats have been fed ACV in their wet food for the last year as a preventative against struvite crystals and yet they still have fleas. Indy is a very high-stress cat which causes him to develop crystals and ACV will literally break down the crystals within hours. Honestly, it's incredible how it works for that. 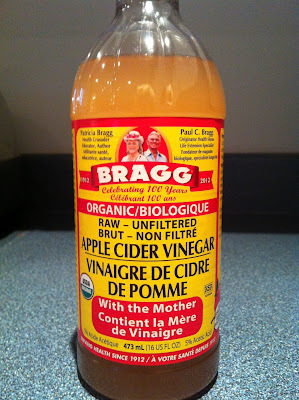 Anyway, they have always been given Bragg brand but a few months ago, Mike bought another brand that was more cost effective and Canadian (gotta support the local economy!!). I'm wondering if maybe that brand isn't so effective because not only did they get fleas again, but Indy has been having "issues" with his urine again ever since the fleas arrived. I just started them back on Bragg last night because the other kind ran out. Let's see if this helps! I'll keep you posted. Grab this at any healh-food store or "natural" section in the grocery store. RCSS sells it in town here. *I should add that I dabbed full-strength ACV onto my bites using a cotton ball and honestly, no more itchies. The bites were driving me absolutely bonkers until I did that. Amazing, no? On your animals (and probably yourself too) you should use a 50/50 ACV and water solution for itching though as full-strength can burn skin. 3) Table salt. No, seriously. I sprinkle it all over the carpet and rug, mush it in with a hand-held broom (a brush will do) and let it sit for a couple of days. Fleas love to camp out in carpets so when you sprinkle the salt on, they try to eat it and the salt in turn dehydrates and kills the flea. And for less than a dollar a box, you can't go wrong. 4) Vacuuming. Lots and lots and lots and lots of vacuuming. I go real slow, letting that beastly machine get as many fleas as it can. Then I do it again. I really hate fleas. 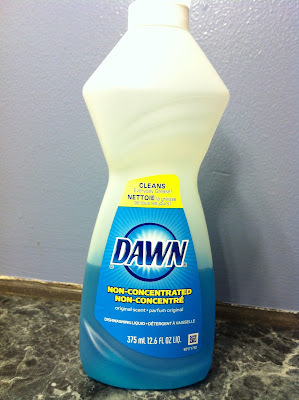 5) Blue (plain) Dawn dish soap. It's safe to use on animals (you've probably seen the commercials of the oil spill animals) and kills the fleas almost immediately. I have bathed the cats in it twice in the last couple of weeks and you can see the fleas float off, dead, in the bathwater. 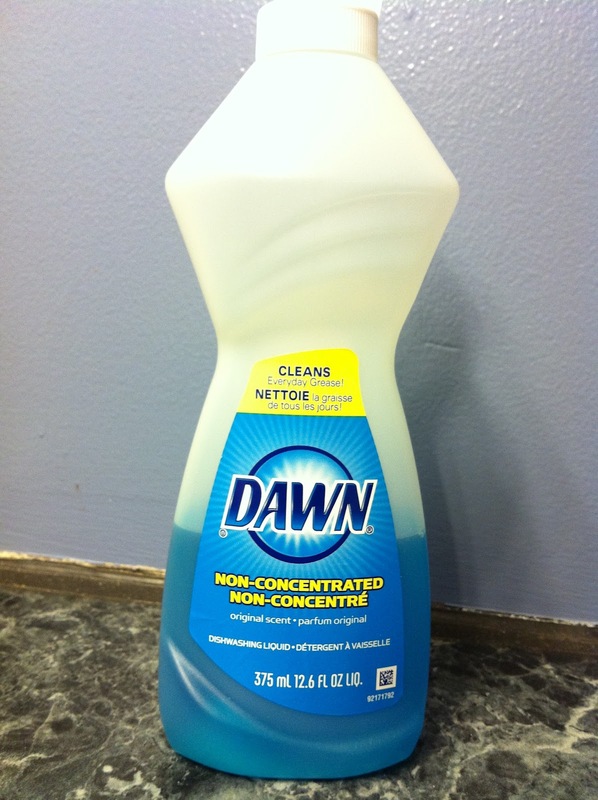 I also mix the dish soap with water in a small bowl and set it up under nightlights at night. The light attracts the flea and when they fall into the bowl, the dish soap kills them. Perfect. Found it at Dollarama of all places! 6) Spring cleaning in August. So far this week I've taken all small things out of each bedroom and moved every piece of furniture in order to really deep-clean all of the nooks and crannies. I have also vacuumed the floors like mad and I'm only putting back into the bedrooms what absolutely needs to be in there. The less hiding places for fleas, the better. Trust me. Also, every blanket in the house has been washed and the bedrooms are closed off to the cats until the flea situation calms down. I will get this under control! I tell you! 7) Diatomaceous Earth. This was most popular home remedy that I came across for dealing with fleas, but this stuff was not easy to find. Everything that I read about it said I'd find it at any garden center. Well - wrong time of year for garden centers, folks! I checked health food stores, pet stores, and what was left of garden centers (Home Depot, TSC, etc.). No dice. 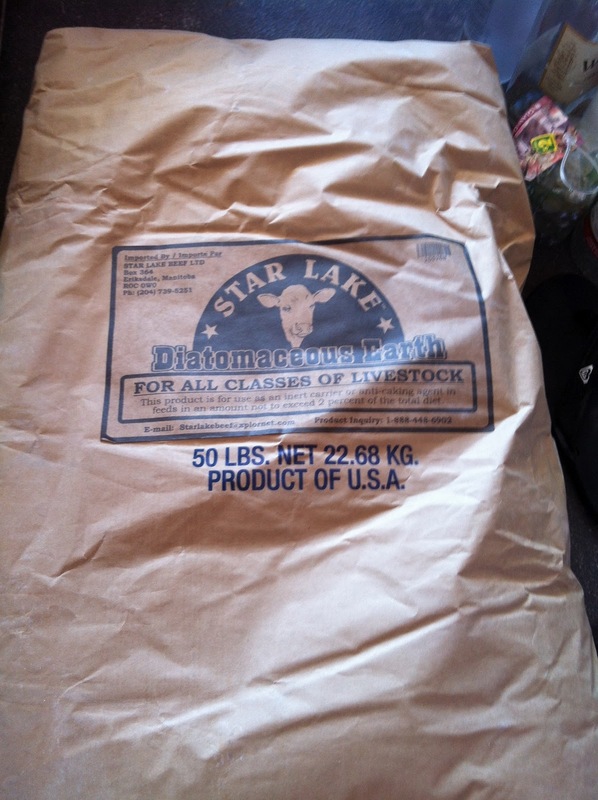 Finally, after driving around for a while looking for the farmers co-op that recently moved, I hit the jackpot: for $36 I got my hands on 50 freaking pounds of the elusive diatomaceous earth. As soon as I got home, I got to work generously sprinkling it all over the bedroom carpet and the rug in the office that seemed to be flea-infested no matter what I did. Then, I tossed some more table salt over top and rubbed it in with a handheld broom (make sure you wear a dust-mask and goggles - it's very messy, and you don't want it in your lungs or eyes!). The combination of diatomaceous earth and salt is apparently the most effective because the d. earth is the consistency of drywall dust, and has a microscopic razor-like surface that gets between the armoured plates of the flea's exoskeleton and slices into their bodies which then allows the salt to dehydrate the little jerks much faster than waiting for them to eat it. It all sounds so scientific. Anyway, I did this two days ago and have only seen two fleas since - one was still alive a couple of hours after application and I found the other one in the bedroom today, dead as can be. I want to vacuum badly but since it appears to be working and I do NOT want to spread more d. earth for at least a few days, I shall leave it for now. It's not harmful to have on the floors either, in fact if the cats happen to have worms from the fleas, ingesting a bit of this (ie grooming) it will actually de-worm them. Nice! *Important note: there are two kinds of diatomaceous earth - food grade and pool grade. Be sure you get the FOOD GRADE, as the pool grade is highly toxic due to the way it is processed!! Here's to hoping it works! Have you ever decided to battle fleas without using nasty chemicals? What did you use, and how well did it work?